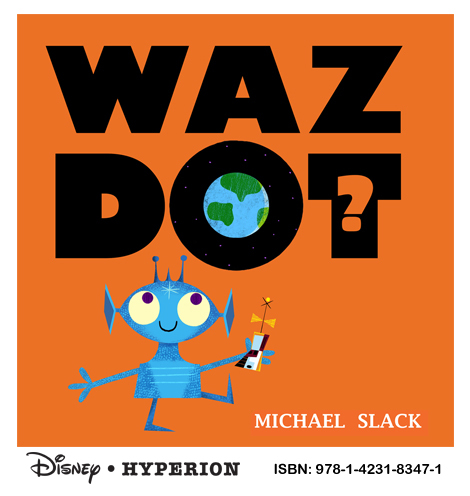 My new picture book Wazdot? has landed on bookshelves everywhere. Follow the antics of the adorable blue alien Blip as he sets out to discover all the mystifying sights and sounds of Earth. Published by Disney/Hyperion.